Time to Taste the Future! This week we are looking forward to the most important trade, sourcing and trend platform for the international food industry – ANUGA. Over 7400 exhibitors from 107 countries will gather in Cologne, Germany, between 07.-11.10. to showcase their work, meet and exchange ideas and we are glad to be among them. The proud Smart Organic team will be introducing a diverse portfolio of products – our newest guilt-free snacks brand bett’r, the recently rebranded Dragon Superfoods, as well as a selected assortment of organic commodities. Moreover, this will be the first international introduction for both our partner Chilli Hills Farm and the latest product lines of Roo Brands. An exciting week is ahead of us and we would be happy to meet you there! It seems that 2017 will be another very exciting year for Smart Organic. We are happy to announce that the company has acquired a 25% stake in the local hot sauce maker, Chilli Hills Farm. “Chilli Hills has tremendous development potential. 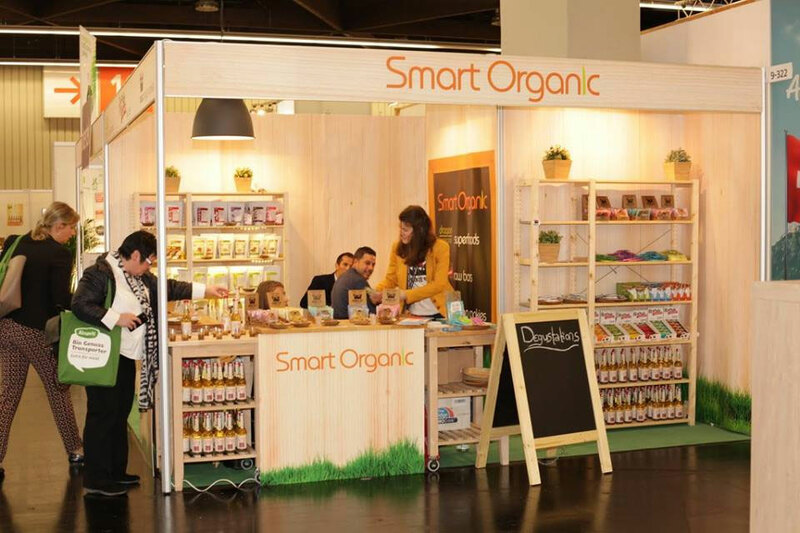 Their product offerings are very clean and nature-friendly, which fits very well with our company vision” says Yani Dragov, Smart Organic CEO. The Chilli Hills brand was born in the beginning of 2016 with a small chilli pepper farm. Today the company proudly produces not only sauces and pastes, but also rare and exotic chilli pepper and spice varieties. Smart Organic will support Chilli Hills Farm’s marketing and distribution, while also investing in the development of the overall brand. “It is necessary to buy some machines in order to increase the capacity and enable the expansion of the products range. Following this deal we can more be more efficient, optimize our production” explained Alexander Kyukriev, Chilli Hills founder and CEO. The company has its own laboratory in which Kyurkiev developes each recipe. The company’s most successful product range is called “Balkan Hot Sauce”, thoughtfully designed to satisfy different tastes, needs and heat tolerance.. If we have spiked your curiosity, keep an eye on this space for the latest news about our two companies – we are definitely expecting some new and exciting projects, spiced with a pinch of pepper and a lot of inspiration.